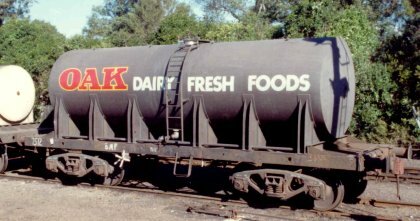 The Hunter Valley Co-Operative Dairy Company operated several milk tank cars from their main factory at Hexham to their factory at Muswellbrook. 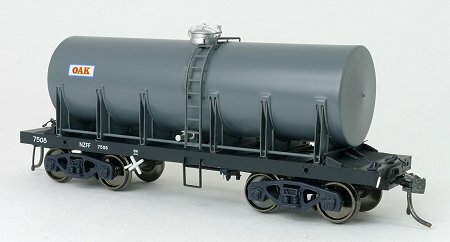 Originally these 5000 gallon tanks were fitted onto SE wagon underframes, sometime in the early 1960s the tanks were fitted onto the welded underframes as modelled. 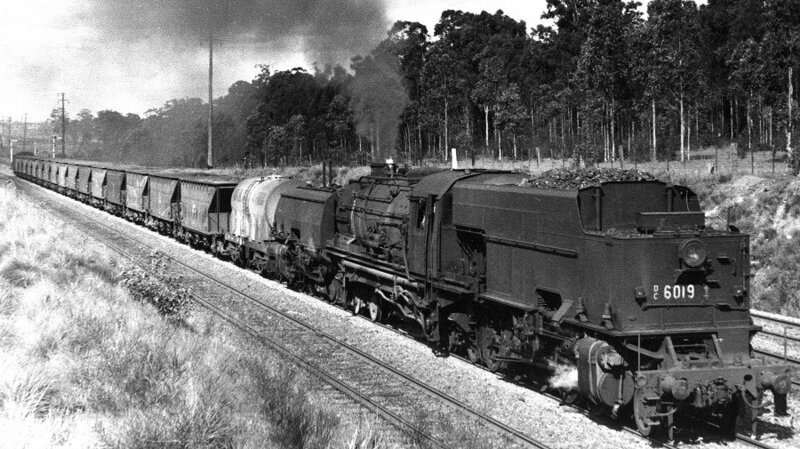 They were originally finished with white tanks, gunmetal underframes and fitted with 2AE bogies, in the 70s the tanks were repainted gunmetal and the wagons fitted with roller bearing 2CF bogies. 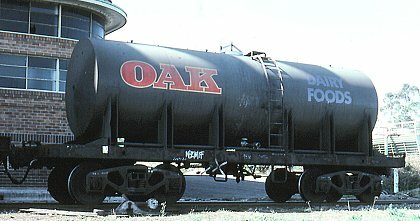 They carried various styles of OAK Milk advertising during their lives and in the early 1980s the area of operation was increased to also include Enfield Yard for Dairy Farmers working. 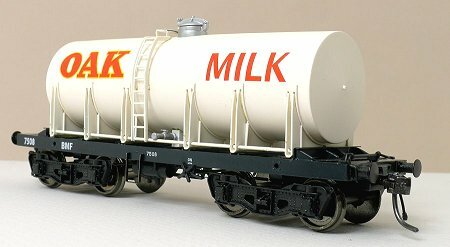 These models are made in a 'multi- medium' construction using a ABS chassis, resin tank and metal etchings for the tank supports, ladders and walkway. This approach keeps the initial tooling cost down and but is only suitable for small production runs. 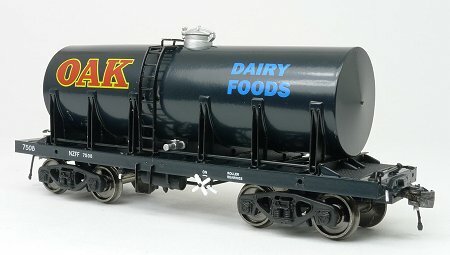 Only a limited number of models have been made.